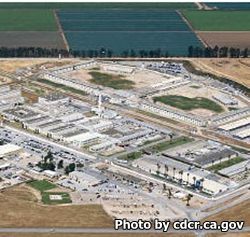 The Correctional Training Facility is located in Soledad California and provides corrections and rehabilitation to minimum and medium security inmates. The facility itself is actually comprised of three independent facilities, each with a different classification of inmate. Facility A and Facility B (considered one facility) are Level II (Sensitive needs) and have a capacity of 2,800 inmates. Facility C is for general population inmates at Level II, it can house almost 2500 inmates, and has an administrative segregation unit. The administrative segregation unit can hold 240 inmates. Facility D is for Level I general population inmates and can house a little over 1000 inmates. Each of the facilities above can operate independently from the others. They each have their own canteen for inmates, medical and dental services, libraries, chapels, education programs, dining halls and visitation rooms. The Correctional Training Facility is both a long term institution for inmates and a re-entry hub. A re-entry hub helps to prepare inmates for their eventual release back into society. It helps inmates by preparing them with education and work skills that the inmate will need in order to successfully reintegrate with society and lower the chance of recidivism. Visitors who have an approved visitors application may visit on Saturdays and Sundays from 8am-3pm, visitors arriving after 2pm will not be allowed to enter visitation. Visitors are also allowed on the following holidays: New Year's day, July 4th, Thanksgiving and Christmas day. If you are planning on going first thing in the morning or need to visit an inmate with non-contact visitation status you should schedule a visiting appointment online.